The settlers of Iceland were predominantly pagans and worshipped the Norse gods, among them Odin, Thor, Freyr andFreyja. By the 10th century political pressure from Europe toconvert to Christianity mounted. As the end of the 1st millennium grew near, many prominent Icelanders had accepted the new faith. 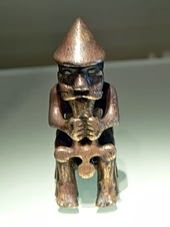 In the year 1000, as a civil war between the religious groups seemed likely, the Alþing appointed one of the chieftains, Þorgeirr Ljósvetningagoði, to decide the issue of religion by arbitration. He decided that the country should convert to Christianity as a whole, but that pagans would be allowed to worship privately. The first Icelandic bishop, Ísleifr Gizurarson, was consecrated by bishopAdalbert of Bremen in 1056. During the 11th and 12th centuries, the centralization of power had worn down the institutions of the Commonwealth, as the former, notable independence of local farmers and chieftains gave way to the growing power of a handful of families and their leaders. The period from around 1200 to 1262 is generally known as Sturlungaöld, the "Age of theSturlungs." This refers to Sturla Þórðarson and his sons Þórður, Sighvatur, and Snorri, who were one of two main clans fighting for power over Iceland, causing havoc in a land inhabited almost entirely by farmers who could ill-afford to travel far from their farms, across the island to fight for their leaders. In 1220 Snorri Sturluson became a vassal of Haakon IV of Norway; his nephew Sturla Sighvatsson also became a vassal in 1235. Sturla used the power and influence of the Sturlungar family to wage war against the other clans in Iceland. After decades of conflict, the Icelandic chieftains agreed to accept the sovereignty of Norway and signed the Old Covenant (Gamli sáttmáli) establishing a union with the Norwegian monarchy. Little changed in the decades following the treaty. Norway's consolidation of power in Iceland was slow, and theAlthing intended to hold onto its legislative and judicial power. Nonetheless, the Christian clergy had unique opportunities to accumulate wealth via the tithe, and power gradually shifted to ecclesiastical authorities as Iceland's two bishops in Skálholt and Hólar acquired land at the expense of the old chieftains. Around the time Iceland became a vassal state of Norway, a climate shift occurred—a phenomenon now called the Little Ice Age. Areas near theArctic Circle such as Iceland and Greenland began to have shorter growing seasons and colder winters. Since Iceland had marginal farmland in good times, the climate change resulted in hardship for the population. It became more difficult to raise barley, the primary cereal crop, and livestock required additional fodder to survive longer and colder winters. Icelanders began to trade for grain from continental Europe — an expensive proposition. 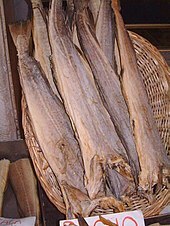 Church fast days increased demand for dried codfish, which was easily caught and prepared for export, and the cod trade became an important part of the economy. Iceland remained under Norwegian kingship until 1380, when the death ofOlav IV extinguished the Norwegian male royal line. Norway (and thus Iceland) then became part of the Kalmar Union, along with Sweden and Denmark, with Denmark as the dominant power. Unlike Norway, Denmark did not need Iceland's fish and homespun wool. This created a dramatic deficit in Iceland's trade, and as a result, no new ships for continental trading were built.The small Greenland colony, established in the late 10th century, died out completely before 1500. With the introduction of absolute monarchy in Denmark–Norway in 1660 underFrederick III, the Icelanders relinquished their autonomy to the crown, including the right to initiate and consent to legislation. Denmark, however, did not provide much protection to Iceland, which was raided in 1627 by a Barbary pirate fleet that abducted almost 300 Icelanders into slavery, in an episode known as the Turkish Abductions. 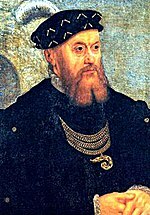 By the middle of the 16th century, Christian III of Denmark began to imposeLutheranism on his subjects. Jón Arason and Ögmundur Pálsson, the Catholic bishops of Skálholt and Hólar respectively, opposed Christian's efforts at promoting the Protestant Reformation in Iceland. Ögmundur was deported by Danish officials in 1541, but Jón Arason put up a fight. Opposition to the reformation ended in 1550 when Jón Arason was captured after being defeated in the Battle of Sauðafell by loyalist forces under Daði Guðmundsson. Jón Arason and his two sons were subsequently beheaded in Skálholt. Following this, the Icelanders became Lutherans and remain largely so to this day. In 1602 Iceland was forbidden to trade with countries other than Denmark, by order of the Danish government, which at this time pursued mercantilist policies. The Danish trade monopoly would remain in effect until 1786. In the 18th century, climatic conditions in Iceland reached an all-time low since the original settlement. On top of this, the Laki volcano in Iceland erupted in 1783, spitting out three cubic miles (12.5 km³) of lava. Floods, ash, and fumes wiped out 9,000 people and 80 percent of the livestock. The ensuing starvation killed a quarter of Iceland's population. This period is known as the Mist Hardships (Icelandic: Móðuharðindin). When the two kingdoms of Denmark and Norway were separated by the Treaty of Kiel in 1814 following theNapoleonic Wars, Denmark kept Iceland as a dependency.